With natural disasters like fires in California, earthquakes in Mexico and Hurricanes Harvey, Irma and Maria in the news, not to mention man-made disasters like the data breach at Equifax, many people are wondering what to do if disaster strikes. But for a business owner, the challenge is even greater. If you want your business to survive and thrive, you need a plan to keep your business systems and data safe and your business up and running even when the worst happens. Tolar System can help harden businesses against these threats with business continuity planning and disaster recovery planning. Learn more about them from Tolar Systems. What is Business Continuity Planning and Disaster Recovery Planning? The table below illustrates that disaster preparedness is on a lot of people's mind's right now. Google searches for the term “disaster preparedness” are at an all-time high; searches for “disaster recovery” are even higher. Searches for “disaster planning” or “business continuity planning,” on the other hand, are considerably lower. This is partly due to human nature: often, we don’t plan for – or even think about – disaster until it happens. But as a business owner, this is the wrong approach. When disaster strikes, the last thing you want to worry about is whether your business data is safe, systems are secure, or whether your business will be able to stay in business. These are very real threats. Weather disasters and fires can happen anywhere, without warning. Data breaches spiked 29% in the first half of 2017. The effects on your business can be immense: according to a recent report, 60% of businesses that experience a loss of data go out of business within 6 months. And according to FEMA, almost 40% of small businesses that experience a major disaster never reopen due to the cost of repairing the damage. Disaster recovery planning and continuity planning help business owners eliminate these worries. 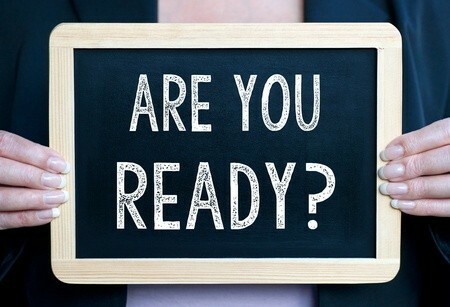 Business continuity planning begins with understanding what’s necessary to keep your business up and running, and all the different types of threats that your business might face, whether those are man-made disasters like a cyberattack, or natural disasters like hurricanes, tornadoes, even fire, disease and eventualities like losing key staff members over time. The goal is to develop a comprehensive plan to help your business continue running through any contingency. Disaster recovery planning is a critical part of a business continuity plan. It’s also the part of continuity planning that is most directly related to your technology. Threat Analysis – What are the threats that face your business? These will include things like weather events and physical threats like fires. But it also includes more likely threats like cyber-attacks and hacking. Business Impact Analysis – How would the threats you’ve identified affect your business? This looks at financial effects, potential threats to health, life and safety, regulatory and legal impacts, reputation and relationship effects, and more. Prevention, Detection, Correction – In the case of predictable or man-made threats like a cyber-attack, the most effective plan is to prevent problems from happening. That’s why IT disaster recovery planning includes services like network monitoring, to ensure that potential threats are detected and prevented from harming your systems. If a threat does get through, the plan should specify what corrective actions will be taken. These services are included in Tolar Systems’ Complete Care. Technology Response – This is the part of the plan that looks at things like data backups and recovery, hardware and software recovery time (how quickly can they be brought back up), how quickly can network connectivity be restored, and other critical questions. Another advantage of Tolar Systems Complete Care is that all business data is regularly backed up on the cloud, which ensures that no matter what type of threat your business faces, your critical business data will remain safely backed-up off site. Human Response – Even though it’s often IT firms that provide disaster recovery planning, as a business owner you can’t focus solely on the technology aspects of recovery. You must also consider the human side. That’s why a solid disaster recovery plan should include direction that helps humans understand how to respond if disaster strikes. Who should they call? Where should they go? What is expected of them? In many cases, even if your physical structure is affected in a disaster, your business may still be able to continue operating if your workers can access their work email, files and other data remotely via VPN or wireless networks. Updates and Documentation – One of the most critical aspects of disaster recovery planning is to document and update the plan regularly. Whenever your technology or business changes, the plan should reflect that. It’s also important to ensure that the plan is well-documented, so that when disaster does strike, the plan can be put immediately reviewed and put into action. In times like these when it seems that disasters are frequently in the news, it’s important to consider what would happen to your business should disaster strike. If you have questions about business continuity planning or disaster recovery planning, contact Tolar Systems today to learn more.